Never let the blurb on the back of a Rachel Neumeier book fool you, in my experience the contents within are inevitably much more complex and intriguing than could possibly be expressed in a few short paragraphs. 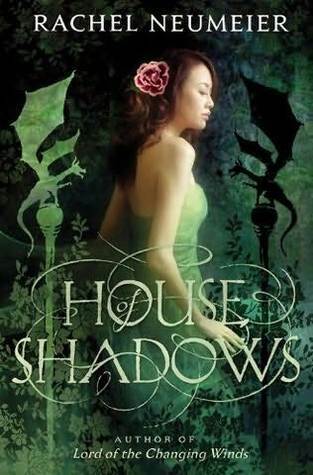 While House of Shadows is indeed the story of two sisters and a foreign bard who become embroiled in a plot that could wreak havoc on their kingdom, the complete picture is so much more. House of Shadows begins with a fairy tale cadence as we narrow in on a family of eight sisters. Each sister, it seems, excels at some aspect that makes her a boon to her family. They are a wonderful cook, and a good accountant, they are beautiful and sure to bring a good marriage. All save Nemienne, who always seems to see the world through a slant, and never really fit in anywhere. When the girl’s father passes away, they come to the harsh conclusion that at least two of the daughters must be sold into a service in order to keep the family business and home. Beautiful Karah finds a place in a keiso house where she will be treated with care and grow up to potentially become some man’s flower wife–a highly respected position. Nemienne, however, finds a place where her slant-wise view of the world fits as a mage’s apprentice. The story is told from three disparate points of view in a country on the eve of a potential war. Through Nemienne, we see the ways of magecraft and learn about the presence of shadows within the mage’s home and many others throughout the city. Taudde, a foreign sorcerer who has broken a treaty imposed on his homeland by entering the city of Lonne, is drawn into a dangerous plot against the prince and king ,but he chafes against being used as a pawn. And Leilis, a woman who is neither a servent nor a keiso in the keiso house where Karah is placed, lives under the weight of a curse that keeps her from touching another human being, while her position allows her to bear witness to the affections and scheming of men. These three characters stories become increasingly intertwined as the story moves, each allowing us a different take on the political and emotional maneuverings of all those involved. As complicated as the plot to House of Shadows can be to explain in a succinct manner, the book itself is in no way confusing or overdone. It’s become clear to me after only two of Neumeier’s books that she has a very distinct style that involves well balanced politics that allow us to see the good and bad in all players, only a touch of romance (which personally, I find very refreshing from time to time), and incredibly unique magical structures that are a pleasure to unfold. Some readers who grow weary of elaborate descriptions may find the reading of Neumeier’s work tedious at times, but personally I soaked up these rich details that created a running image of the world at hand in my mind. As tends to be the case with me and fantasy, I only have problems keeping the elaborate naming structures strait (particularly here with Nemienne and the Mother of the keiso house who both had lengthy ‘N’ names), but I can appreciate the reality that nobles do tend to have elaborately long names and am thankful that at most times we can call them things like ‘Prince Tepres’ for short. Because House of Shadows is told from these three varying perspectives, we are able to see the shades of grey in each of the characters whereas if we were viewing from a single perspective they would be very black and white. Taudde, as a foreigner allows us to see this country both as cruel conquerors and intriguing magicians. His perspective of Mage Ankennes, one of the men forcing him into a plot against the throne, is contrasted by the perspective of Mage Ankennes’s apprentice, Nemienne, who sees Ankennes as a teacher and patron. I love that in House of Shadows, characters opinions are driven by gut feelings (all of which seem uncannily accurate), and that they develop and change throughout the book. 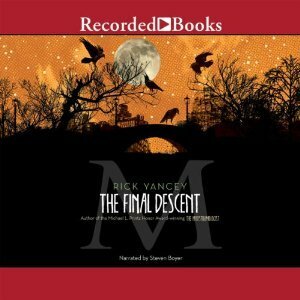 I strongly resisted the jump in perspective at the beginning of each new chapter when the story began, but as the three character’s stories became increasingly related, I became increasingly invested in the overall plot. Indeed, I enjoyed the fairy tale beginning, but it was from halfway through to the end of this book that I was truly glued to the pages and unable to put it down. Straddling the line between adult and YA, House of Shadows is a beautiful fantasy world with crossover potential that draws from Eastern influences, geisha, and the presence of shadows. It highlights the concept that light and shadows must exist in tandem, and that the dark does not have to give way to corruption. Definitely recommended. Likelihood that I’ll be back for more: Absolutely! I can’t believe it took me so long to read my second Neumeier book, but you can bet I’ll be finishing up the Griffin Mage trilogy as well as reading her other works. 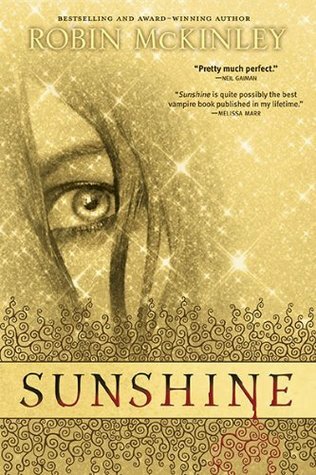 Recommended for: Fantasy fans who enjoy books that blur the lines between adult and YA, those who don’t mind a lot of description, love unique magic structures, Eastern influences, and cats. Readers who enjoyed Shadows on the Moon and Memoirs of a Geisha. « No…seriously to read pile. I was so happy about the way that the romance was handled here. It was present, but there was so much more focus on the politics and magic, and there wasn’t any relationship drama. That’s refreshing every now and then; quite often, whether or not I enjoy a book comes down to how the author handles romance and whether it enhances or detracts from the rest of the story. I completely agree! I DO love romance at times, but it’s so fresh to not have to deal with it, as you say–they can detract from the story rather than enhancing it. The romance was handled with the same tact in the other Neumeier book that I’ve read, so I’m thinking that’s her thing, and she may just be a go-to author for me when I need to step away. Yes! This is the only one of her books that I’ve read, but it makes me want to read more. She handled it so beautifully. I’ve really enjoyed Neumeier’s work, and I really do hope that you check this one out and enjoy it. It’s refreshing old school fantasy, but stand alone–you can’t ask for something better than that! This sounds so interesting! Despite you not wanting people to be put off by the blurb, I was SUCKED IN by the blurb. I was like, “this sounds freaking awesome!…but is it?” The way you reviewed it makes me feel like you feel about this series the way Catie recently felt about the Resurrection of Magic series and it sounds like the two series might be similar in their skirting of YA-adult, at least from what I understand. Must read this. Oooh, I hope you give it a go and let me know what you think! It’s not that I think the blurb is off-putting so much as I think it’s misleading. That it makes you think it’s the story of two sisters, and it is, but it’s also so much more than that (particularly since we don’t see things from one of the sister’s point of view whatsoever). The awesome thing about this one is that it’s a STAND ALONE, although Neumeier has so much room to grow and work with in this world, I wouldn’t mind at all if she did more there. I’m actually thinking of reading Skin Hunger next! 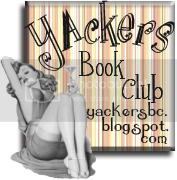 This sounds lovely and you’e introduced me to a new book and author. I was happy that they chose to use the cover to correctly represent the characters too. I loved Memoirs of a Geisha so I will definitely be giving this a go. Yes! This is very Memoirs of a Geisha but with fantasy elements. I hope you enjoy! Of course! I completely agree–I loved the music sorcery! I’d love Neumeier to write more in this world so that we could see more of it.